It’s the start to a new year and a time for new and fresh beginnings. I decided to do a cleanse with one of my friends. YourTea is an international company that has many tea cleanse options for different needs/goals of your body. I had never done a cleanse before, so I didn’t really know what to expect. I completed the 14-day cleanse and found amazing results. The plan consists of 3 cups of tea per day before each meal. “Right away I felt energized and felt less bloated and it doesn’t act as a laxative as most tea cleanses do.” Add a little bit of lemon or honey and it’s a great treat. The tea contains all natural ingredients such as Camellia Sinensis, Catsia, Lotus Leaf, barley, white Tea, Prunella Spike, Adzuki Bean. There are also other tea cleanses specific to everyday teas for men & women, fertility teas, anti-c Teas (for cellulite). 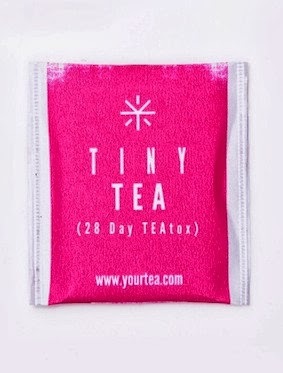 Go to YourTea.com and check out which cleanse is best for you!